A home renovation will typically involve replacing old windows, cabinets, walls or other parts of your home that were intended to be permanent fixtures. Just the thought of a renovation can trigger anxiety, or memories of stressful times in those who’ve experienced one in the past, but honestly, when planned and executed properly a house renovation shouldn’t be an overwhelming experience! If you plan on living in your house whilst it’s being renovated or remodeled, a little disruption to your daily routine is to be expected, however with a bit of proper planning you can minimize potential inconveniences. Below are a few tips to get through any possible stress or anxiety brought about by a home renovation. Renovating the entire house at once could potentially leave you lacking basic facilities necessary for everyday life, like kitchens and bathrooms. When living in a house that’s being renovated it’s highly recommended that you take it one step at a time. Even though you might not be directly involved in the construction portion of your home renovation, some degree of preparation on your end will be required. A good tip is to pack like you’re moving. Wrap, pack and store loose belongings and valuables to avoid having them damaged or covered in dust during the renovation process. Even in carefully sectioned off homes, a bit of dust is inevitable. Setting up base at a hotel or nearby relative’s house is not always possible, especially with long projects. Along with packing and storing any valuables, you need to think about how you’ll go about your everyday tasks when undergoing renovations. Simple things like moving basic kitchenware and appliances to an area of the house that won’t be renovated will help save you a bit of home renovation anxiety. Plan ahead. For example, if you’re expecting to have your water shut off during the renovation its worth stocking up on bottled water or finding a suitable location to shower. A spare room or garage can quickly become a makeshift studio apartment if needed. Renting a hotel or motel room nearby for even one night can be a simple, yet effective remedy for home renovation stress and can give you the additional boost of energy needed to complete the project. Know your options beforehand in case you need to escape in a hurry. Last but not least, you need to be flexible. Delays and additional expenses are sometimes very hard to predict. A home renovation might take a little bit longer or cost a little bit more than initially quoted. Keep a positive attitude and don’t be shy to ask for additional help when needed. 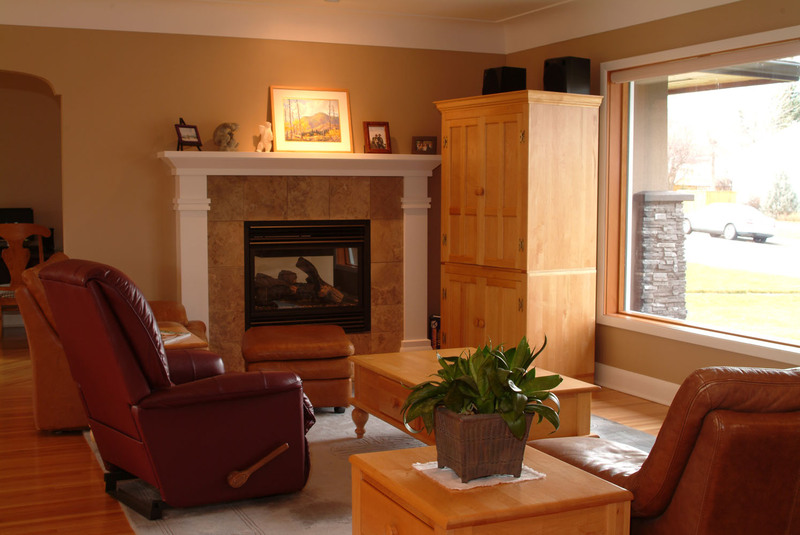 At Litwiller Renovations & Custom Homes we have over 30 years’ home renovation experience. Contact us today to find out how we can help your next project.